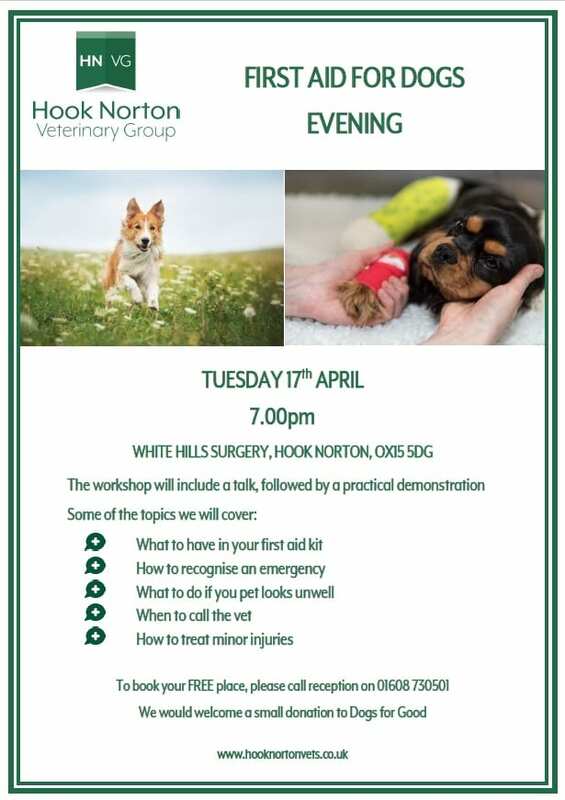 The Small Animal department at HNVG will be hosting an informative evening on First Aid for Dogs on Tuesday 17th April at 7pm. The event will be held at White Hills Surgery (our Hook Norton branch) and will include a talk and a practical demonstration. Tickets are FREE, but we do ask for a small donation to Dogs for Good. To find out more, or book your place, please contact reception on 01608 730501.